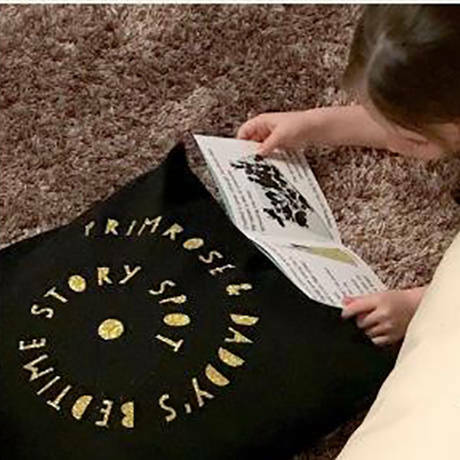 Proud papas and children will love this unique personalised story time cushion. 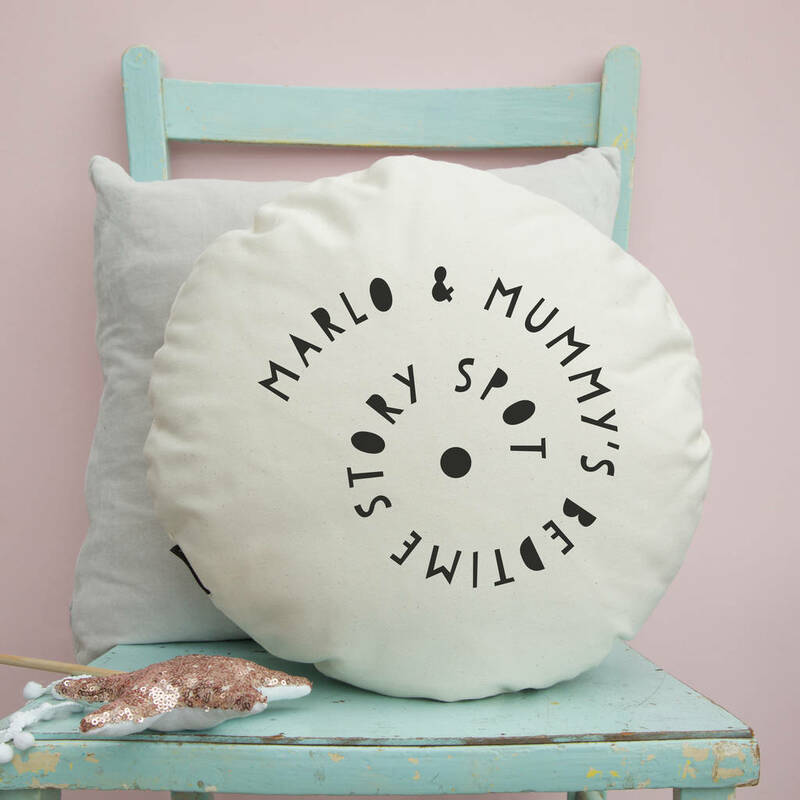 Our scandi monochrome style cushion will make a lovely addition to your child's bedroom / nursery and remind them of special times with Daddy reading together. 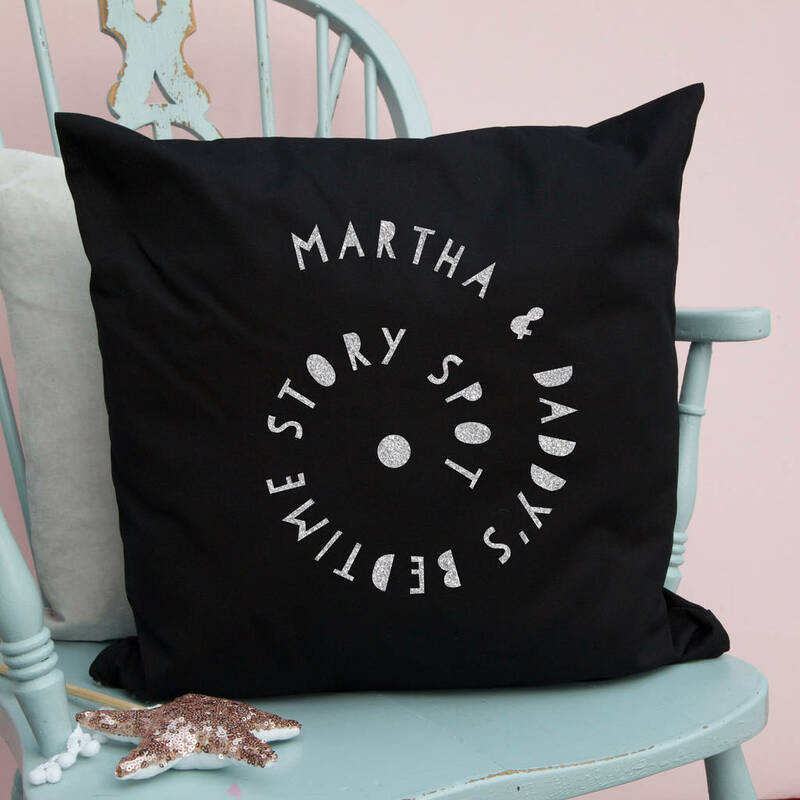 Create a space in your home ready to fill with the wonder of stories. 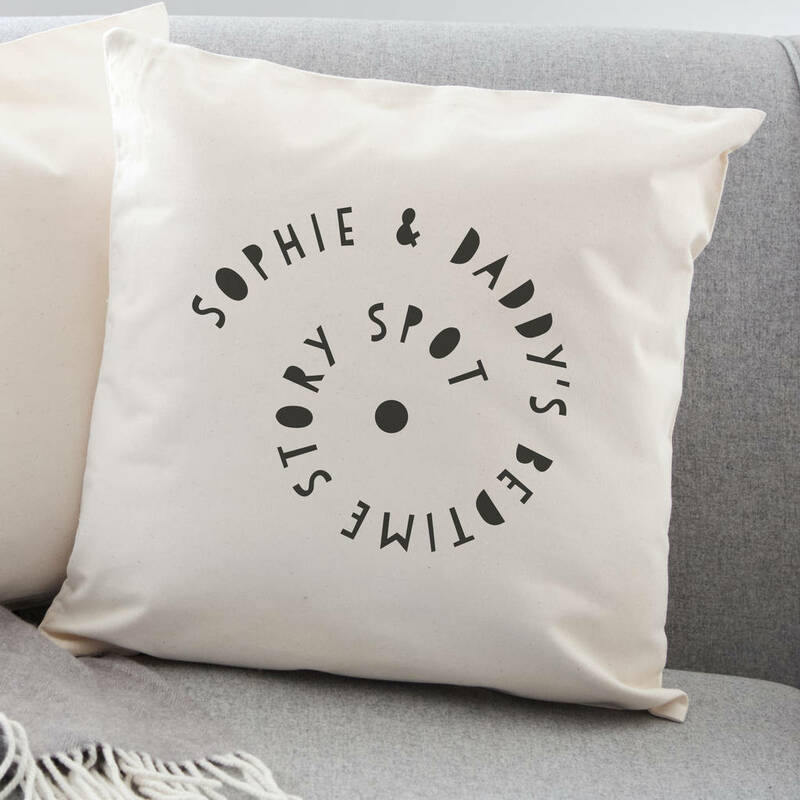 Build new traditions and set good intentions - where will your story spot be? New Dad? 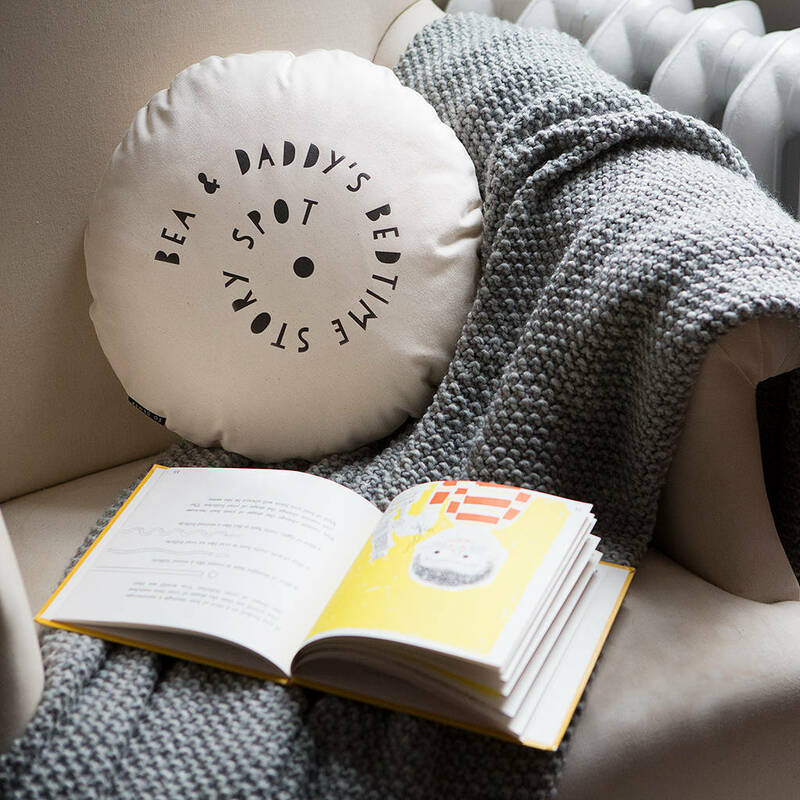 Make his first Father's day memorable. Grandad? 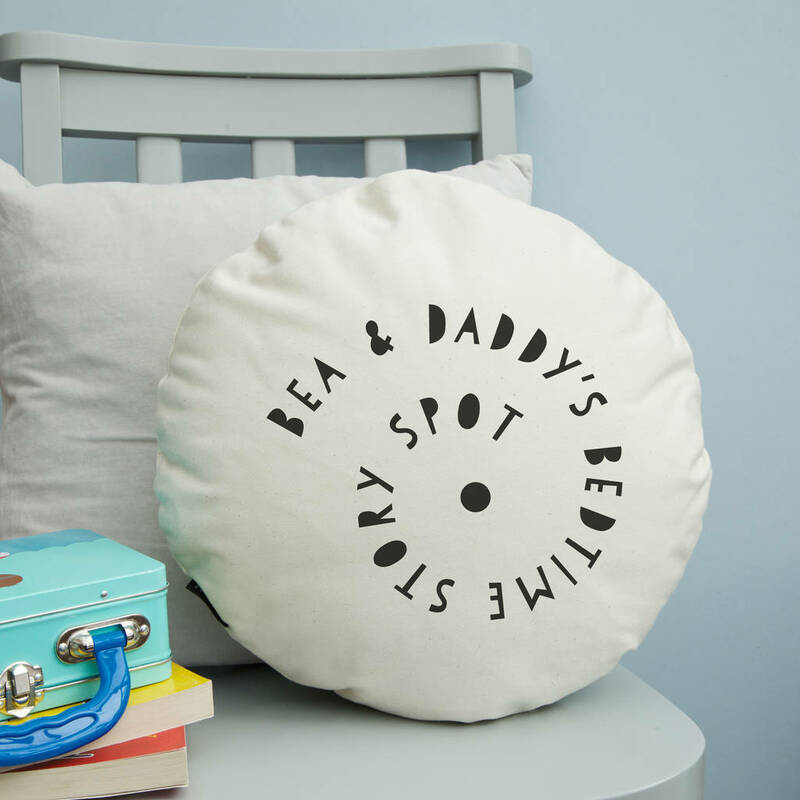 Remind him of those special times together and claim a spot on his sofa for the grandkids. COPYRIGHT : Designed, printed and packed in the UK by claire close studios. 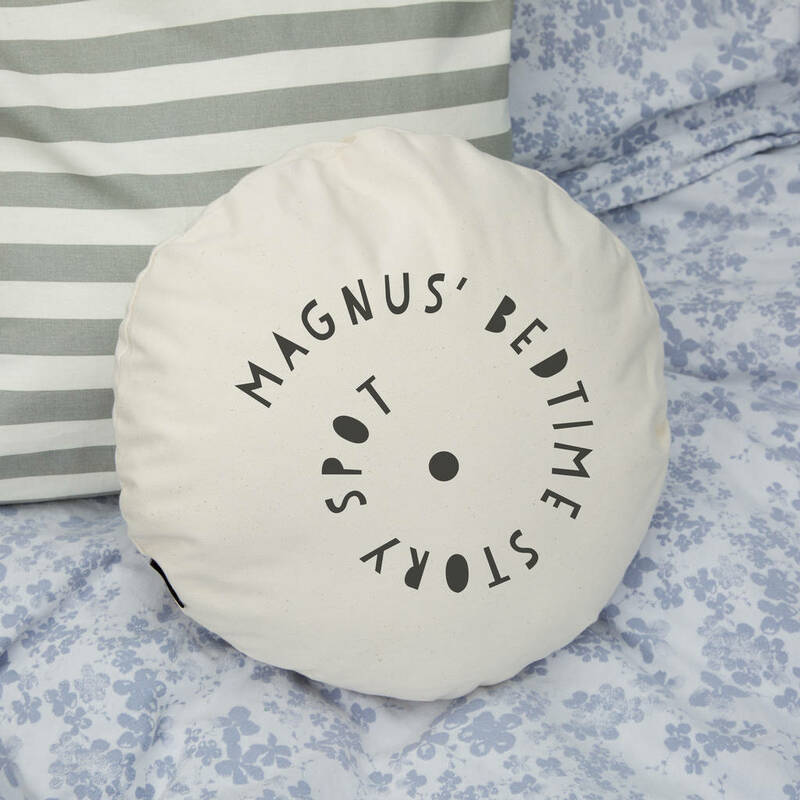 Available as a SQUARE or ROUND cushion. 45 cm by 45 cm square.